Pick this stylish t-shirt and shorts set for your little champ, which is apt for casual wear. 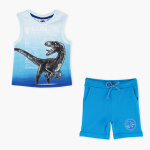 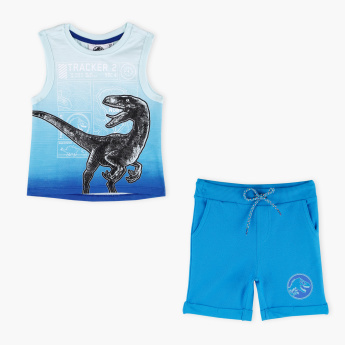 The t-shirt and shorts of this set is made from soft fabric which will keep your little boy in utmost comfort all day long. 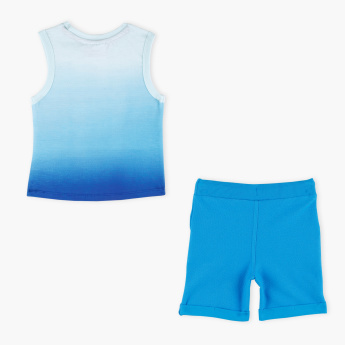 The elasticised waistband and drawstring of the shorts ensure a snug fit for your child.